What is the first thought in your mind when you heard North Carolina? Majestic mountains and coastal plains? But there’s a lot more to the city than just mountains and plains. North Carolina residents are warm and helpful. Do you too wish to help people? If so, prepare for the hearing aid specialist licensing exam here in North Carolina and pass the exam to work as a licensed HAS. As a hearing aid specialist, you get an opportunity to work for one of the best retailers such as CVS Pharmacies, Miracle-Ear, Costco or offer mobile hearing aid testing to hard of hearing patients. While most training program requires you to invest a huge amount of time, the Hearing Aid Academy’s online course can be completed within 3 to 6 months for a fraction of what accredited universities and colleges cost. Moreover, a career as a hearing aid specialist comes with great income opportunity, various job openings, and job satisfaction. David Ryan Adams or Ryan Adams, as he is popularly known, is an American songwriter, multi-instrumentalist, poet, record player, and musician. Born in North Carolina, Adams suffered from hearing loss due to Ménière’s disease. During this time, Adams disbanded his band, The Cardinals and announced an extended break. However, he was back the next year performing and released a studio album. He never let his disability affect his work. Want to work for yourself without a boss or restricting work schedule? It is easier to start working for yourself than you think. The Hearing Aid Academy offers 100% online, comprehensive and advanced education program to prepare you to pass the written and practical hearing aid specialist licensing exam here in North Carolina. If you are looking for a career that offers the following, become a hearing aid specialist. Dennis L. Gunn, director at the Hearing Aid Academy, revealed that the Hearing Aid Academy students have secured a starting salary of $60,000 to $70,000 per year upon getting licensed. The hearing health industry is growing at a fast pace and there is a high demand for licensed professionals. Register with this 100% online curriculum to prepare for the hearing aid specialist licensing exam here in North Carolina. There are a variety of factors that are making the hearing health service industry as one of the most sought-after industries. Retail locations such as Walgreens, Costco, Miracle-Ear, Sam’s Club and CVS Pharmacies are opening up hearing aid centers nationwide. They are creating job opportunities which can be filled by licensed and qualified hearing aid specialists. There are currently 5 job opportunities for every hearing aid specialist that passes the licensing exam. Moreover, you can open up a hearing center and work flexible hours with weekends and holidays off. Improved technology is playing an important role in the increased demand for hearing aid specialists. Since the past few years, smaller and more effective hearing aids have been developed by various companies. Instead of the chunky over-the-ear hearing aids, patients can now easily wear hearing aids that are virtually invisible. More people are opting for hearing aids than ever. Aging population and lifestyle changes that causes damage to hearing also creates a perfect opportunity to become a hearing aid specialist now. The hearing health industry is not going to slow down anytime soon. Therefore, this is the right time to prepare for the hearing aid specialist licensing exam here in North Carolina and earn a prestigious position in the industry. A licensed hearing aid specialist (HAS) has plenty of job opportunities. It is becoming increasingly easy for a licensed HAS to earn an annual income that exceeds $75,000 per year. Therefore, by passing the International Licensing Exam, you open a door of opportunities for yourself. Are you thinking “How can I get my license when I cannot leave my job?” Well, we have a solution for you. Enroll with the 100% online curriculum offered by the Hearing Aid Academy and work your daytime job while studying whenever you get time. HAA prepare you to pass the written and practical competency exam called the International Licensing Exam (ILE) administered by the International Hearing Society (IHS). ILE is conducted throughout each American state. If you choose to enroll with an accredited university or college, you need to invest a huge amount of money and time. But by opting for a 100% online course, you can study anywhere anytime. Hearing Aid Academy gives students a chance to prepare for the hearing aid specialist licensing exam here in North Carolina in about 3 to 6 months depending on their speed. You can work as fast or as slow as you want. Moreover, the course fee starts as low as $199 which is payable over a period of 12 months. The academy also provides financial assistance to a student who qualifies for the program. The Hearing Aid Academy offers the best, and the easiest way to get licensed as a hearing aid specialist. 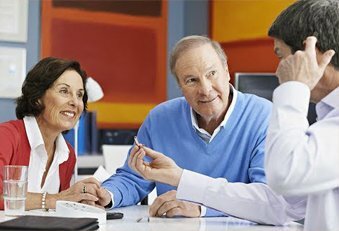 Moreover, you are not alone in this online program as we have qualified and knowledgeable instructors with more than three decades of real-world experience working as hearing aid specialists on board. With a working internet connection and a laptop, you can learn anywhere. This self-paced online course gives you the freedom to work during the day, attend to your family commitments and study whenever you get time. What are you waiting for? Prepare for the hearing aid specialist licensing exam here in North Carolina now.